An exclusive luxury mini tour based in Braemar, Scottish Highlands. Staying in a superb hotel built in the 19th century, a category B listed building with distinctive arts and crafts. 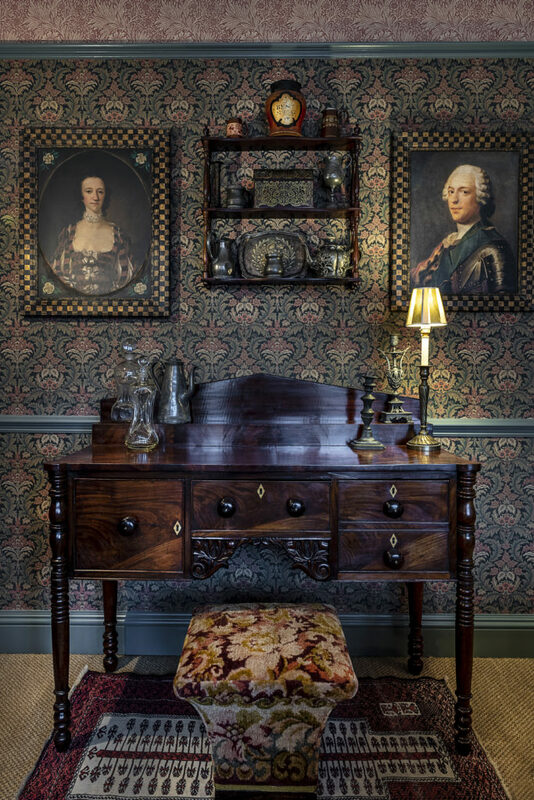 Rooms are well-appointed and inspired by some of Braemar’s most noble visitors. With views over the surrounding landscape, the suites are richly furnished with antiques, artwork and even objects that once belonged to these historic figures. Room Features: some with separate sitting room, freestanding copper bath and rain shower. With many superb options for rooms, no one will be disappointed. The Flying Stag is the hotel’s public bar and offers classic Scottish dishes, real ales, live entertainment and a selection of over 180 whiskies. 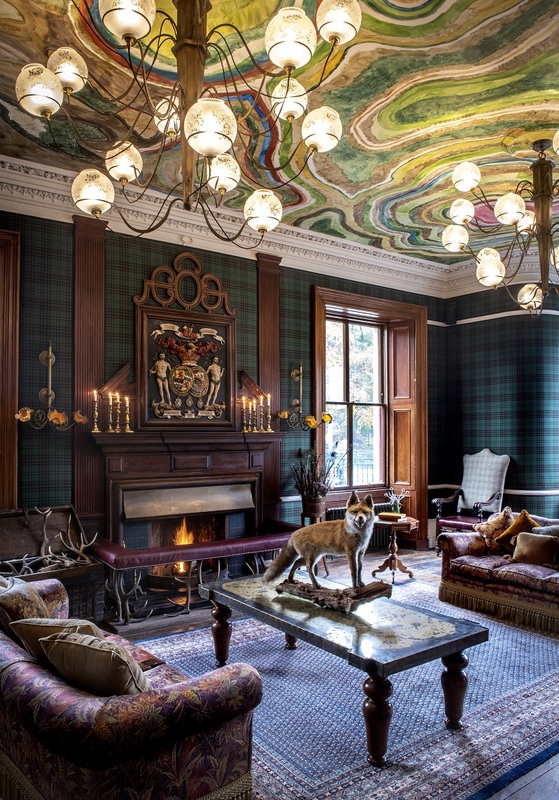 The Clunie Dining Room showcases wood-fire cooking and seasonal Scottish produce in a striking room painted by artist, Guillermo Kuitca. When this tour ends, we will need to pull you away from here. Day one We start either in Glasgow or Edinburgh – or any location on a longer tour with us – meet and drive north to the Highlands, approx. 1 hour north of Perth, through Blairgowrie and Spittal of Glenshee into Braemar itself. Aiming for a late afternoon/an early evening arrival, to set the scene for your exclusive (opulent) stay. Albamhor is the ideal place to unwind and spend time. infused with a sense of ‘coorie’, the treatments are designed to restore, revive and relax body mind and spirit. From hot Cairngorm stones to deep tissue acupressure, massages offering use a variety of techniques and methods to ease, calm and transform. This evening you are booked (not included) for dinner; sample menu – Start with; Loch Fyne oyster wood seared, burnt cream, or roasted crudité (V), or hay-flamed sea trout, lemon cream, breadcrumbs, dill, ember oak leaves , or smoked Balmoral estate venison tartar, flamed kohlrabi. Main courses; Turbot on the bone, juniper butter, endive in whey, green kale . Invercauld highland cattle sirloin . Roasted celeriac, (V) toasted walnuts, apple & fennel crudités, pickled winter chanterelles, toasted buckwheat, Strathdon blue cheese. Or Wark Farm lamb shoulder, winter vegetables,lamb jus, pointed cabbage & flower sprouts. Retire to the bar and relax with a drink or two, see you tomorrow. Day two after a grand breakfast we head along to The Victorian village of Ballater, sitting in the heart of Royal Deeside and 8 miles from Queen Elizabeth’s summer home of Balmoral Castle. In the early 14th century the Ballater area was part of the estates of the Knights of St John, but the settlement did not develop until around 1770. Ballater railway station closed in 1966 but remained in use as a visitor centre with an exhibition recording the village’s royal connection until 2015. Many shops to walk around in this pretty village, we can also have tiem for lunch here – maybe the Rothesay Rooms – a 40-seat restaurant decorated in the Highland style throughout, the vibrant Duke of Rothesay tartan and soft glow of candlelight providing a charming accompaniment to an elegant meal. Since opening in 2016, Rothesay Rooms has won North East of Scotland Restaurant of the Year Award 2017 and again in 2018, also gained entry into the Michelin Guide. With many wee shops, antiques and galleries we can linger a while here. As a part of the Royal connection, we can also visit Royal Lochnagar Distillery, Balmoral Castle (subject to dates) amd Braemar Castle. Another excellent day, now retire to your superb hotel. Day three for the adventurous, we can arrange fishing (not included), the River Dee offers first class salmon and sea trout fishing opportunities in the beautiful surroundings of the Cairngorms. Braemar Golf Club holds the distinction of being the highest 18 hole course in Scotland. The greens are among the finest in the area and while the course is relatively short, it is sure to test golfers of any standard. Glenshee Ski Centre is the largest ski resort in Scotland and extends over 3 valleys and 4 mountains. The variety of runs make it an ideal destination for novice skiiers while two advanced black runs will challenge more advanced skiiers. A final night in Braemar. Day four sadly your tour with us ends, unless you have booked a longer itinerary, we head back to either Glasgow or Edinburgh. We hope to see you again soon. 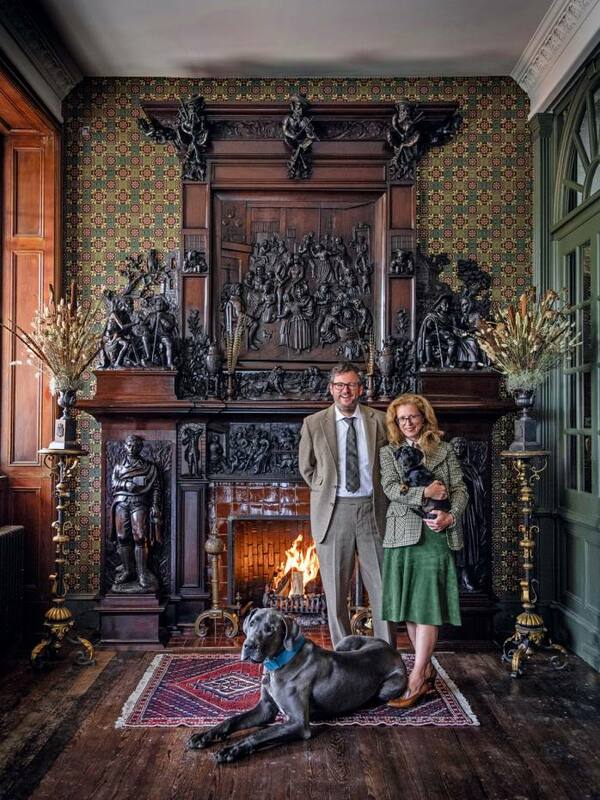 Or you can stay longer with us, fancy staying in a castle? We can arrange it. From: £1040 per person based on four guests, £1430 per person based on two guests – upgrades available. Not available for the Braemar Games, Christmas or New Year.